I just returned from a two week visit to Cuba. one of my favorite places on the planet thus far! 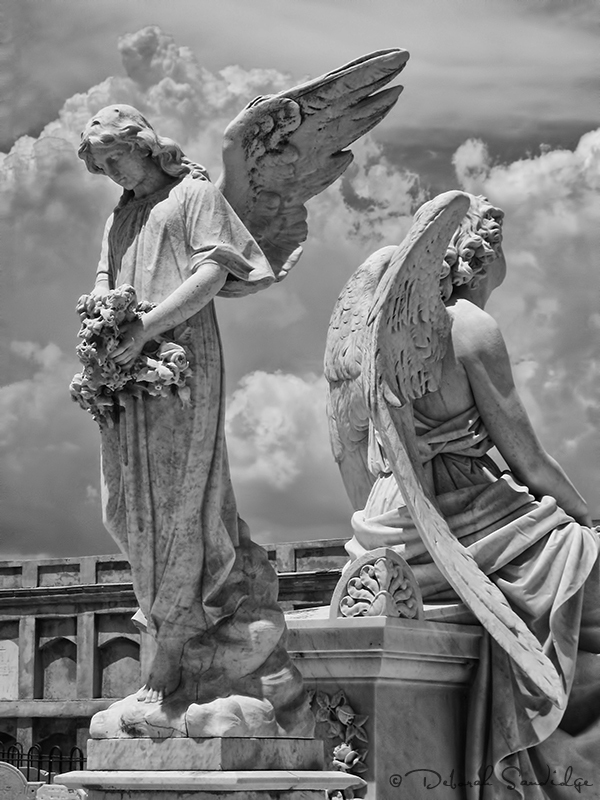 Cuba has several cemeteries with the most wonderful angel statues. I like the gentle waves of clouds in the background that seem to frame the angels. I photographed this scene in infrared which is one of my photographic passions! Black and white infrared creates a traditional look that has timeless appeal. My favorite software for black and white conversion is Nik Silver Efex Pro 2, as it provides many options for fine tuning images. Infrared photography, and Nik Silver Efex Pro 2 are a perfect fit. Black and white allows a photographic story to be told in a unique way, without the connotations of color. Light, shadow, texture and tonality become more important in the composition, and infrared adds to the surreal quality.